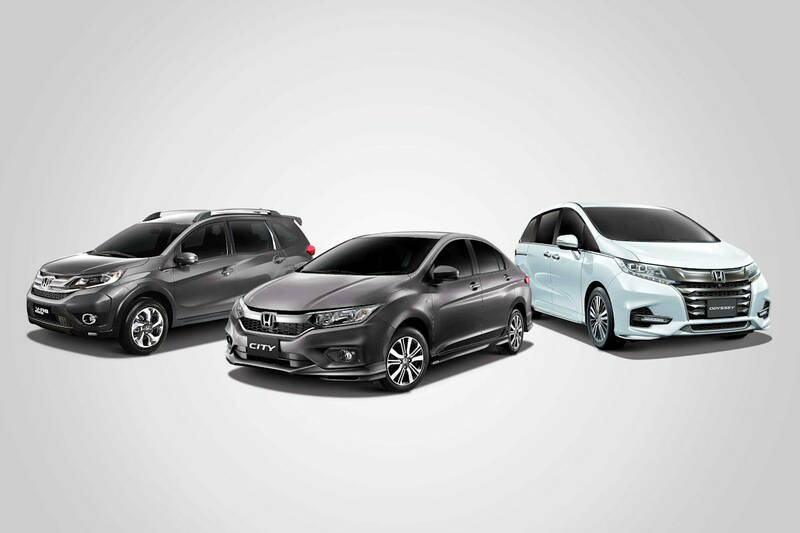 It’s a very busy August over at Honda Cars Philippines. Aside from the 2018 HR-V, the carmaker is also introducing limited-edition variants of three popular models: the City, BR-V, and Odyssey which aim to satisfy the dynamic lifestyles of Filipino families. First up is the City 1.5 Sport CVT. Based on Honda’s best-selling model in the country, the City 1.5 Sport CVT gains front, side, and rear under spoiler that give it an addition sporty edge while inside, it gains two front tweeters (total 6 speakers) for an improved aural experience from its infotainment system. It’s available in three colors: Modern Steel Metallic, Taffeta White, and Rudy Red Pearl at a suggested retail price of P 898,000. Next up, the family-friendly 7-seater BR-V ups the style with new exterior features: daytime running lights, shark’s fin antenna, and tailgate spoiler. It also adds some security with rear parking sensors. Available at a suggested retail price of P 1,058,000, it comes in three colors: Modern Steel Metallic, Taffeta White, and Lunar Silver Metallic. Finally, there’s the Honda’s luxury 7-seater MPV, the Odyssey. With only 45 units available, the EX-V CVT sits in-between the EX and EX-V Navi variants. As its name suggests, it loses the built-in GPS navigation of the top-line variant. However, it manages to keep its advanced array of driver assistive features as well as a full leather interior with second-row Cradle Captain Seats with Ottoman. The Odyssey EX-V CVT is available in three colors as well: Platinum White, Crystal Black Pearl, and Super Platinum Metallic. The price is pegged at P 2,428,000 with the Platinum White Pearl color commanding at P 20,000 premium. As a special treat to our would-be buyers, Honda is offering all these three limited edition variants with an exclusive P 50,000 discount. That’s why customers are encouraged to reserve now and take advantage of this special limited edition offer on these limited-edition models.